SortCL plays a central role in every IRI software solution and almost every IRI product. 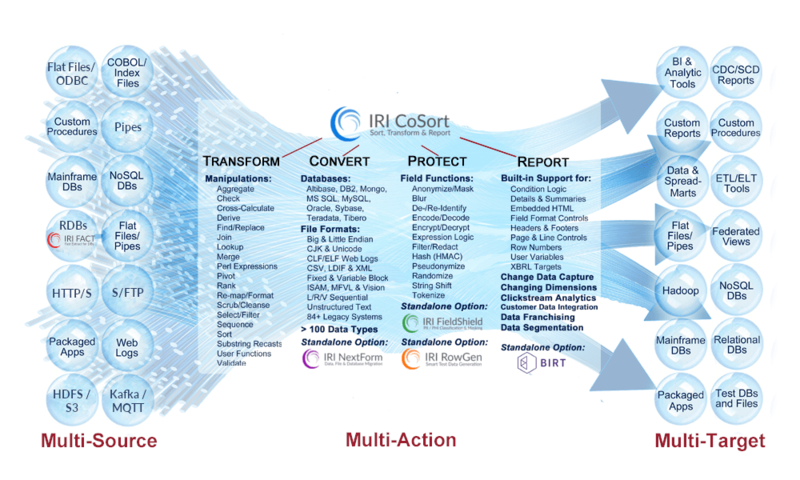 Explore the links below, CoSort case studies, and the IRI blog site, to see how SortCL moves and manages data throughout the enterprise. Learn how to perform those operations from links on IRI's self-learning page. Most every data manipulation activity you perform in the IRI Workbench GUI -- including data migration, masking, cleansing, test data, and transformation jobs -- are SortCL jobs! And with IRI Workbench, you can design, manage, and run those jobs in Eclipse.